Pull out your calendars – be it paper or phone – and save August 19 and 20th for the 2017 ACOS weekend. If getting an insight into the where and how potters and ceramic artists work, this is the perfect opportunity for you! For the past 4 years, The Australian Ceramics Association helped more than 100 ceramics studios, in the capital cities and regional areas, to share the goodness and good times of clay through the Open Studios event. Back in 2013, when I first moved back to Brisbane, I visited Stephanie Outridge Field’s studio in Clayfield. Fast forward a year… and for the 2014 ACOS event, I was there with Steph, demonstrating and sharing a weekend of fun!! 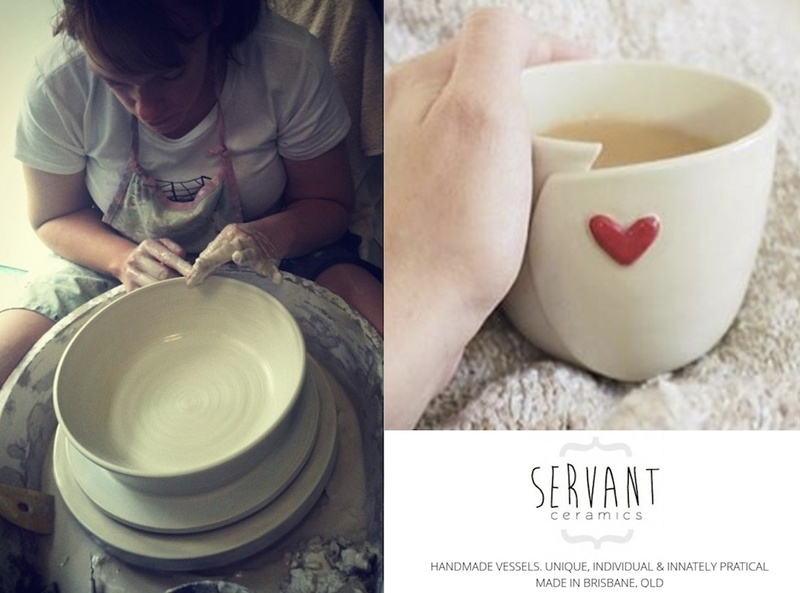 2015 came around oh so quickly and we were able to run a plate making workshop. 2016 was even bigger and better with opportunities for visitors to have a go on the wheel plus a jewellery workshop! We’re still nutting out what to run/offer this year but if you have ideas, let us know! I’ll post up more information about the Brisbane studios opening up over the weekend once TACA releases the list of participating members. With a big, excited smile, Rachel.